Robert A. Croy Is Your Experienced Source For Legal Representation! 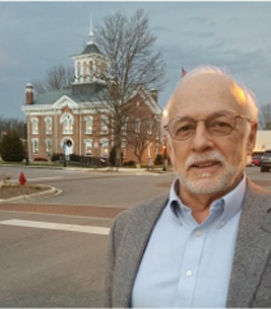 Robert A. Croy has over 20 years of experience helping people in Coffee County TN with legal representation services. Robert is truly passionate about helping people get through their divorce or custody issues, criminal charges, bankruptcy issues, personal injury compensation, and much more. With over 20 years of experience in Tennessee court rooms, attorney Robert A. Croy has successfully handled a wide range of cases. Unlike larger firms that will entrust much of your case work to a paralegal, or even a secretary, Mr. Croy personally handles every case that he takes on, and is always available to answer your questions or concerns. Why Choose Us For Your Legal Representation? Personal injuries are unfortunately quite common, and the effects of them can be quite devastating. Car accidents, malfunctioning equipment, or slipping and falling can result in long-lasting injuries and be life-altering. If you or someone that you love has suffered from an injury, you might be entitled to a large compensation through a personal injury claim with Robert A. Croy. If you think the above situations apply to your personal injury case, it's time to talk to a personal injury lawyer regarding your situation. It's important to find an attorney as soon as possible to make sure that your case receives the correct level of attention -- and that's where Robert A. Croy Law comes in. We will work hard to help you get compensation for lost wages and other monetary loss resulting from your injury. We can help secure damages for your pain and suffering. We all feel great when we can pay our bills on time. Sometimes, due to unfortunate circumstances beyond our control, it becomes impossible to pay them. These circumstances could be due to medical costs, unemployment, a weak economy, divorce, and others. More than one of these problems may even occur simultaneously, until we can no longer handle things ourselves. We borrow money, pawn property, and cash in our retirement funds only to pay off the interest. Bankruptcy is a reasonable and ethical answer to these problems - the earlier one files for bankruptcy, the earlier unnecessary payments are ended. Attorney Robert A. Croy offers a free initial consultation. At the consultation, we discuss your particular situation, your hopes, and the role bankruptcy can play in solving your financial difficulties - allowing you to move forward with your life, leaving debt in the past. Consultations are strictly confidential. Most debtors have cars or trucks they are buying when they file for bankruptcy. There are three things we can do with the car: surrender it, redeem it, or reaffirm the loan. When you surrender, the creditor receives the car and the debt is discharged. In redeeming a car, one pays the creditor the trade in value of the car, and the debt is discharged. An example of redeeming is when one is in debt for $12,000 on a car with the value of $2,500. In this case, the debtor pays $2,500, keeps the car, and the debt is removed. In reaffirming a car debt, the debtor and the creditor sign a contract that continues the loan. 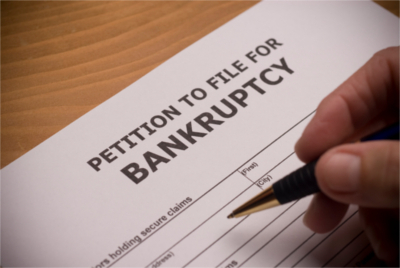 After a bankruptcy is complete, a second bankruptcy cannot be filed for eight years. This makes you less of a loan risk and more suitable for an auto loan or home mortgage. If you've been charged with a crime in South Central Tennessee, you need to act now. Warrants and summons never "drop off", and the courts do not forget your charges over time. It's normal to feel anxiety and fear, but you must act quick to protect yourself and your rights, and help prevent additional charges or costs. Robert handled my divorce case. He is really great in court and a very professional, likable person. Highly recommend! Enoch J. If you or a loved one are in need of a personal injury lawyer in the Coffee County TN area, contact us for honest and personal legal advice. Robert A. Croy proudly offers personal injury, bankruptcy, accident, and criminal advice for those who need it. Don't wait any longer - contact us today!